The Blue Monkey has a long wing that creates tantalizing movement in the water as it dances through pools, runs and glides with devastating effect. It has a lot of presence in the water, can be fished with confidence all the way through the season but is particularly good in warmer weather conditions. It is a great fly that will produce fantastic sport throughout the year. 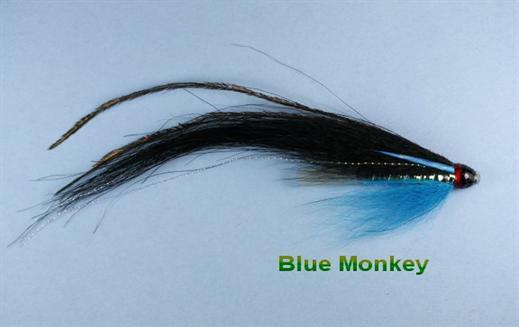 Currently there are no comments about the The Blue Monkey fly pattern from other fly fishermen yet.